Based on the body mass index, people are categorized as normal weight, overweight, or obese. Please be aware that this table is not intended for children. Details and diagrams for that can be found under BMI for children. Extensive information on the WHO table and the NCR distribution as an alternative can be found under BMI tables. 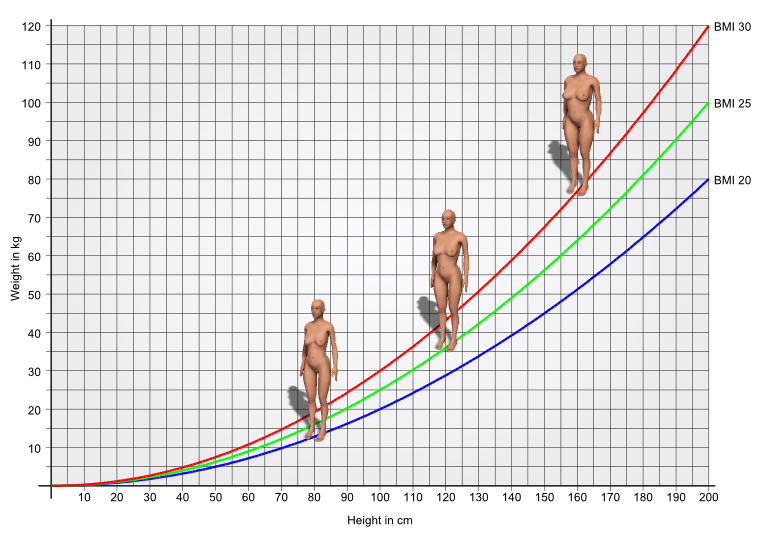 Background information about the formulas for the body mass index and their origins are described under BMI formulas.